PUTNAM COUNTY, N.Y. -- Each year, more and more Americans travel internationally. 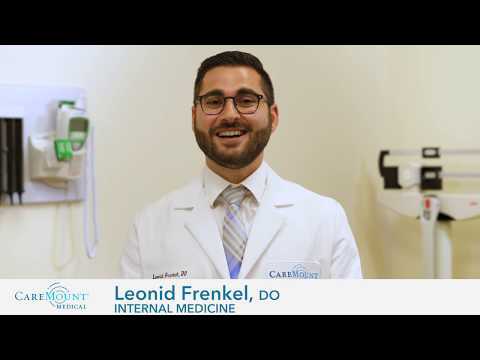 CareMount Medical’s John Raffalli, MD FACP (Internal Medicine/Infectious Diseases) and Neeta Chitkara, MD (Internal Medicine/Infectious Diseases) encourage patients to be proactive and take steps to anticipate issues that may arise during a trip. Learning about your destination before traveling is essential, according to Dr. Raffalli. The Centers for Disease Control (CDC) and the World Health Organization (WHO) post country specific travel notices and warnings on their websites. Check out the information updated regularly at www.cdc.gov and www.who.int . Dr. Raffalli also suggests making an appointment with your primary care physician or a specialist in infectious disease/travel medicine at least 4-6 weeks prior to traveling. Remember to discuss pertinent details about your trip with your doctor such as: what country or countries you will be visiting, what activities you have planned, the length of your trip, medical and vaccine history, allergies and any other concerns you might have. The physician will be able to answer questions and tailor recommendations for you based on the information provided. It is also important to plan ahead in the event of unforeseen circumstances that can affect your healthcare coverage and ability to use your prescribed medications while traveling. “Travelers should carry a sufficient supply of routine medication(s) in their carry-on bag ensuring access to these medications in the event their luggage is lost or misplaced,” said Dr. Chitkara. She also recommends travelers check their medical insurance coverage to see what expenses may or may not be covered when traveling abroad and to consider purchasing travel insurance. Depending on your travel plans, your physician may also discuss vaccinations. According to Dr. Raffalli, measuring the antibodies in your blood is sometimes necessary to determine what vaccines are needed. Likewise, “a physician might vaccinate a patient differently depending on the reason for travel. Two patients traveling to the same area might require different vaccines. A person visiting an orphanage might have different needs compared with someone doing some sightseeing,” said Dr. Raffalli. It is also important to discuss with your physician if you have altered immune system issues, such as those associated with diabetes or HIV. There are also considerations for pregnant or breastfeeding travelers, or for those traveling with infants and children. Some vaccinations are recommended to be administered 4-6 weeks before traveling as they take a few weeks to become effective, so plan ahead. The CDC divides vaccinations into three categories: routine, recommended and required. •	Routine vaccinations are necessary for protection against diseases common in many parts of the world. Some of these include hepatitis A, Tdap (tetanus- diphtheria- pertussis), measles and hepatitis B. •	Recommended vaccines and required vaccines are vaccines that are geared towards protecting travelers from illnesses present in other parts of the world. These vaccines not only protect travelers, but also prevent the spread of infectious diseases across international borders. The type of vaccine will depend on the destination, the season in which you are traveling, as well as your health history and previous immunizations. For example, “a required vaccine for travel to certain countries in Sub-Saharan Africa and South America is yellow fever vaccination,” said Dr. Raffalli. Another example is typhoid vaccine to prevent a blood infection with a type of Salmonella that is infrequently seen in the United States. Schedule a visit with your practitioner to see which vaccines you may need and to discuss your options. •	Travelers to a malaria-risk area should avoid mosquitoes, wear long sleeves and pants when outdoors, use insect repellent and take a preventative antimalarial drug. •	Wash hands often with soap and water or use an alcohol-based hand gel. •	In some countries, drink only disinfected liquids, such as bottled water or carbonated beverages. •	Do not swim in freshwater contaminated areas. •	If bitten or scratched by an animal, wash the wound out with soap and water and seek medical attention to determine whether or not an anti-rabies vaccine is needed. •	Medications can be prescribed to prevent and treat reactions from abrupt changes in altitude. •	Be aware of the presence of the Zika virus in the area or country you are traveling to, especially if you are pregnant or planning to become pregnant. •	Travelers returning to their country of origin or visiting family abroad are encouraged to seek medical advice prior to traveling for protective vaccines and medicines. •	Be sure to get up or stop along your travels and move around in order to prevent risk of Deep Vein Thrombosis (DVT) which can result from prolonged immobilization on long flights or car rides. •	Keep in mind that certain types of infections can present weeks to months after your trip. It’s important to make an appointment with your primary physician as soon as possible upon return from your trip if you are sick. Preparation for travel is key. So plan ahead and schedule an appointment at CareMount Medical today by calling (845) 231-5600 or visiting www.caremountmedical.com to make sure your vaccinations and immunizations are up to date.